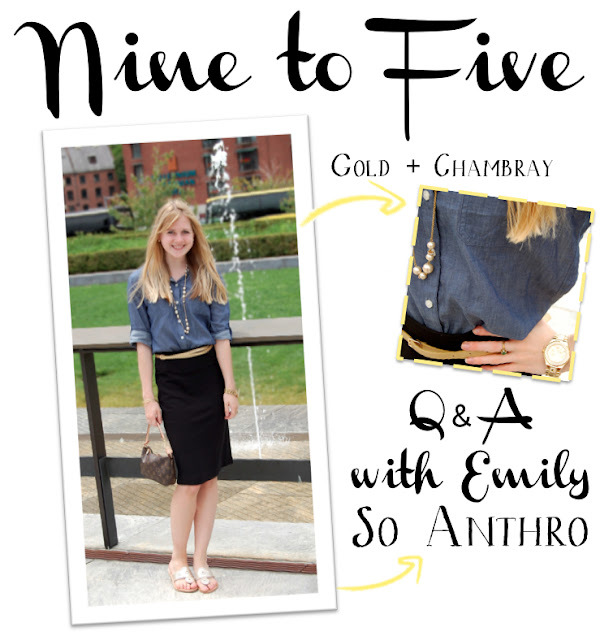 I'm pleased as a peach to bring our first guest of the nine to five series to you today: Emily from so anthro! 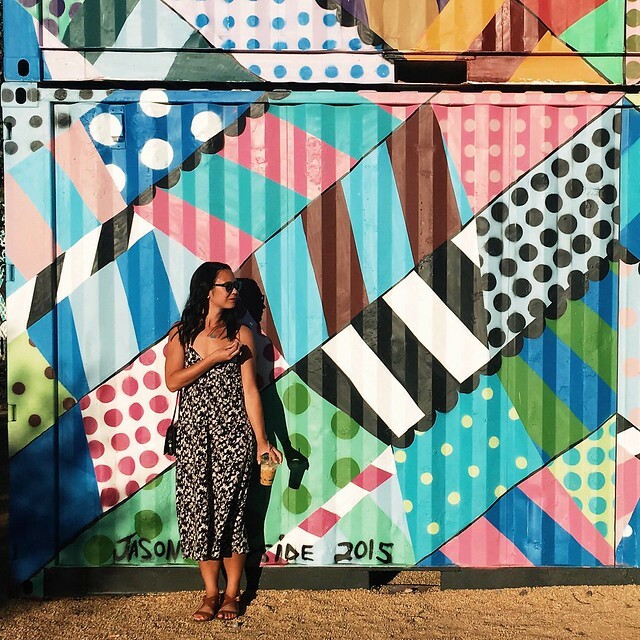 Read on to learn more about this fabulous gal and what inspires her for work, and then make sure you head over to Shannon's blog to get all of the details on her fabulous outfit! I feel very lucky to have a casual dress code in my office. That being said, with few limitations I do have to keep myself motivated to put together stylish and professional outfits and not take advantage of our laid-back dress code by wearing jeans all the time! Blazers and pearls for sure I think they add class to almost any outfit. Also fun skinny belts! I wear this gold one at least once a week -- it adds just a touch of sparkle. I find myself buying most of my work staples at stores like H&M, Zara, Gap and the J.Crew Factory Store (but I'm always open to new places, so I'd love to hear your suggestions as well!). Funny enough, blogging is actually a part of my day job! I started my personal fashion blog as a way to learn and practice Wordpress, the platform we use at work as well. Blogging for myself has definitely helped me become a better blogger for work, and vice versa. I feel constantly connected and inspired. Both! It's certainly a creative outlet for myself, but I would love to turn it into something bigger one day. Emily from cupcakes and cashmere is a huge inspiration of mine -- she has turned that [once little] blog of hers into a full-time career and brand. I tend to block out a couple hours at a time, either on free nights or weekends, and draft out a ton of posts at once, then schedule them throughout the next couple weeks. The hardest part I think is actually finding the time to keep up with all of the other blogs I love to read! My Pinterest Fashion board is full of chambray, flirty summer skirts and pastels. I'm also a huge fan of British fashion, and I think you'll see a lot of that on there as well! I hope you love Emily as much as I do, and make sure you grab her fabulous outfit deets from Shannon's blog! And make sure you head over to Emily's blog to show her some love. Go. Go now. Oh this series is going to be so much fun! so excited this day is finally here! What a cutie! I'm with her on the chambray obsession. Looking for a cute cropped jean jacket and another chambray shirt... can't get enough! I love this Alex! What an awesome idea!! The outfit is awesome and I'm loving this series!